Do you want to work for a cool and innovative company that strives to spark the imagination and curiosity of children and teach them about the fun in science? Mad Science is currently looking for instructors for After-School Programs! If you are interested in building and flying rockets, creating slime and exploring the states of matter, then please fill in our application and we will call you on our next coffee break! At Mad Science, we are having a BLAST! We pay you to have fun! 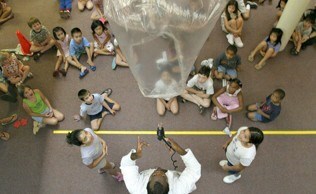 Build and fly rockets, explore the states of matter using dry ice, and help children create slime and other polymers. You will inspire the next generation of scientists through our innovative activities that show kids what science is really all about. As a Mad Scientist, you will lead students through an inquiry-based discovery method involving instructor demonstrations, hands-on activities and amazing take-home projects that will illustrate how science affects the world around us. 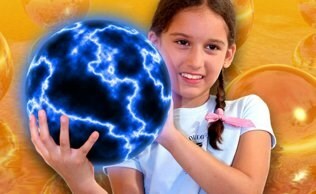 Mad Science is the world's leading provider of fun science programs for elementary-aged children. We are currently looking for energetic individuals to join our growing team to conduct exciting science, engineering, and technology programs during after-school hours for the Winter/Spring Sessions. You do NOT need to be a certified teacher, nor do you need to be a science major. o	Facilitating a one-hour after-school science enrichment program using a pre-set curriculum. o	Each session is a high-energy, part entertainment, part education, hands-on class that meets for one hour each week for approximately 8 weeks. o	You will be required to come to a weekly staff meeting every Friday at 12:30 PM in Santa Ana (paid). You will also be required to attend paid training sessions at our office. o	Enjoy teaching young children the art of science, engineering, and technology! o	Some experience working with groups of elementary-age children. o	Must have a reliable car with room for transporting equipment. We are currently offering classes in the Cerritos, Los Alamitos, Anaheim, Santa Ana, Huntington Beach, and Cypress areas! o	You must be at least 18 years of age. We train you in the curriculum and provide all materials. Mad Science classes follow the school calendar and are presented year round. This is part-time and rewarding work if it fits with your schedule and lifestyle. To apply, go to http://westorangecounty.madscience.org/jobapplication.aspxand fill out the online Application. If you qualify to work here, we will call you back. Call backs start THIS week. 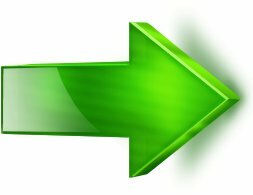 Increases as you gain more experience!